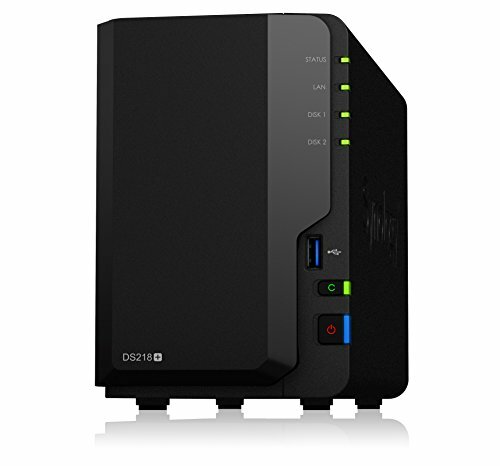 Synology DiskStation DS218+ features a dual-core processor with AES-NI encryption acceleration and a transcoding engine, providing high-speed file transfers and supporting real-time 4K transcoding. DS218+ is ideal for protecting critical assets and sharing files across different platforms. Synology DS218+ is backed by Synology's 2-year limited warranty.